At 8 in the morning, the doors of a promised paradise will open – day after day, every day of the year (except for the month of Ramadan, then it is open from 9 a.m.). And you’ll be clever to arrive there as early as possible, if you want to enjoy walking on winding paths among the most exotic of plants almost by yourself. 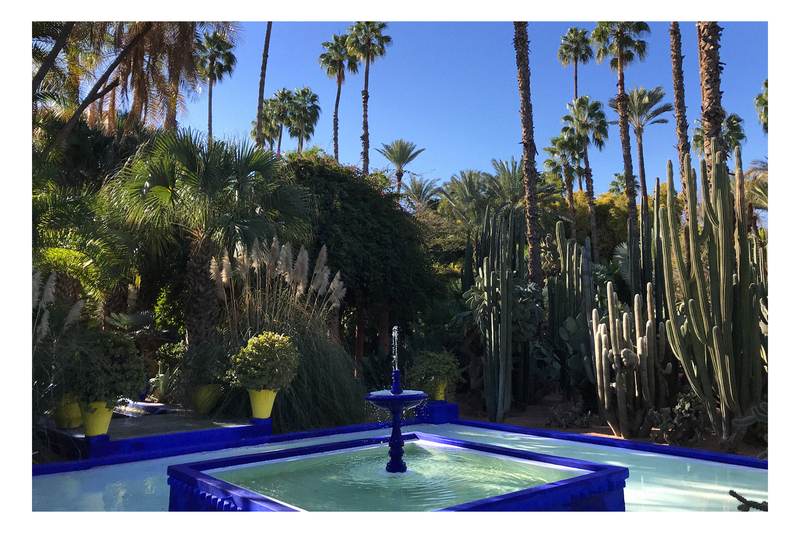 This exceptional garden, whose planning took the French painter Jacques Majorelle (1886 – 1962) a good 40 years, is enchanting visitors to this day and probably will for a long time to come. Here, you walk on shady paths with light spots as if you were part of an impressionist painting, beyond the sound of wells in a fresh, light blue and up to the main building which welcomes you in the most impressive of all blues. 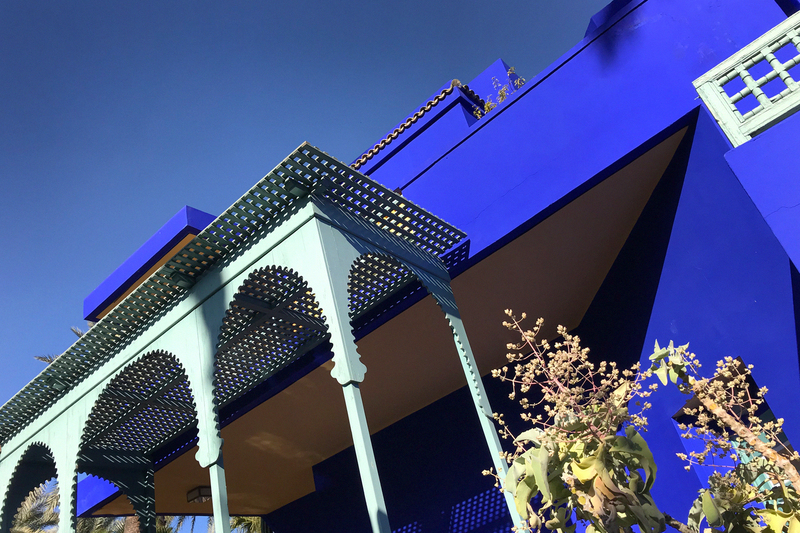 This blue, the painter Jacques Majorelle discovered in the Atlas mountains as it is the famous indigo blue which is typical for the dyed fabrics of the Tuareg people. 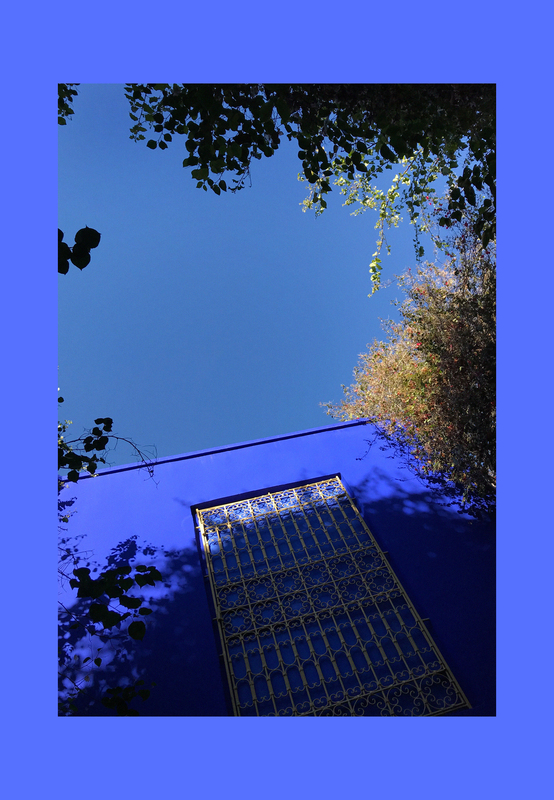 This blue of the houses is shining together with the blue of the sky, which looks truly marvellous. Together with the sound of the water, the wind in the leaves and the chirping of the birds, this natural symphony is pure bliss. I could have stayed and listened to this for hours. 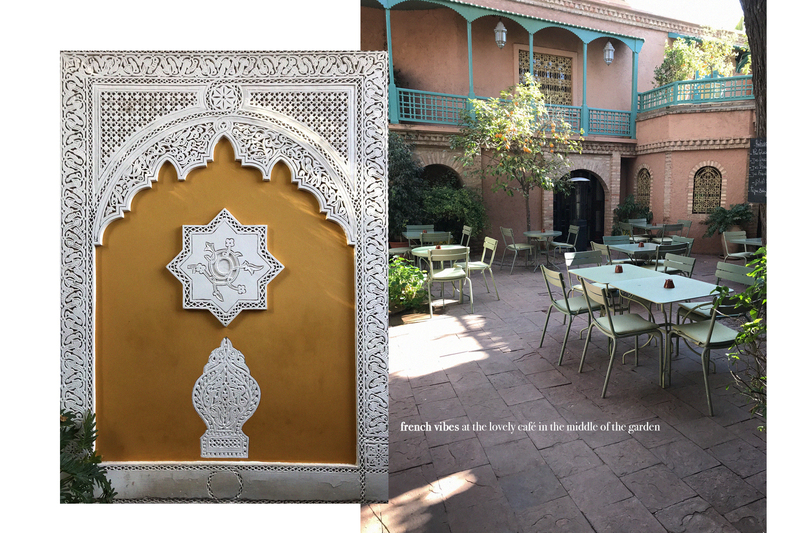 After a walk through the beautiful garden, we discover a lovely café in which we sit and enjoy some Moroccan mint tea – almost all by ourselves. 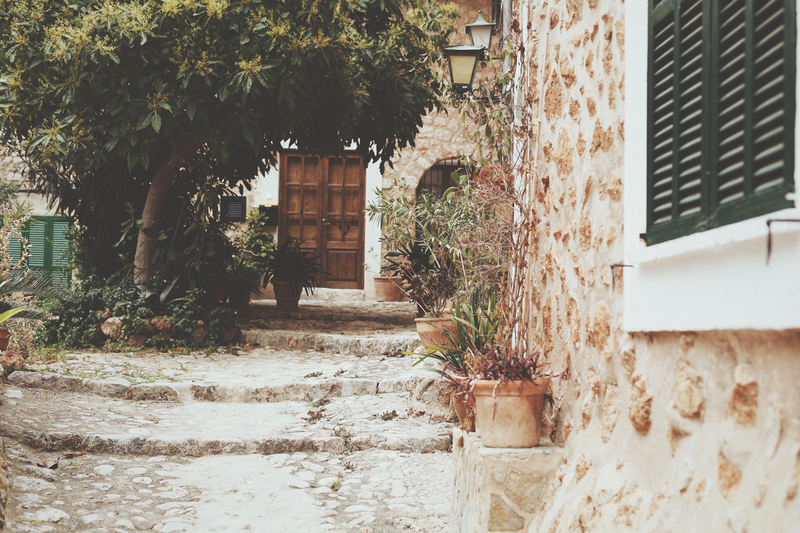 It is so calm and soothing to simply sit and enjoy the silence. 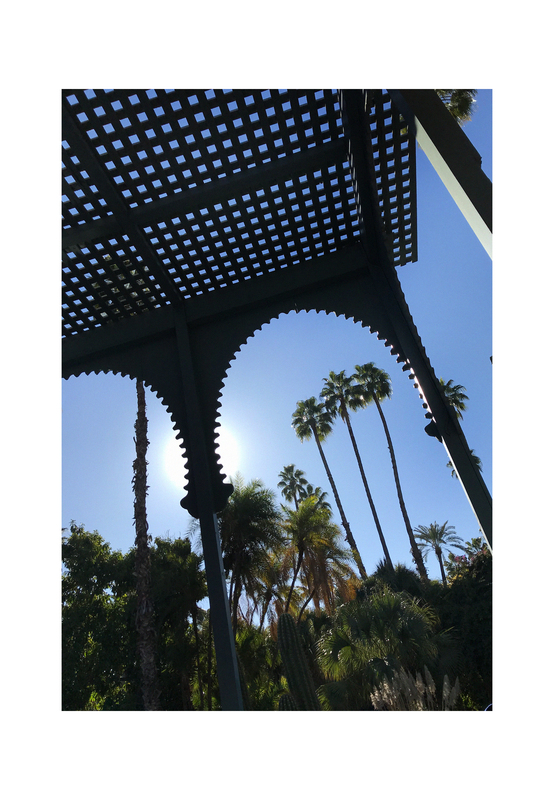 Until, at 11 a.m., the garden, the paths and the buildings start to fill up with people and all the silence is gone within minutes. People are chatting, taking pictures and blocking all the roads. 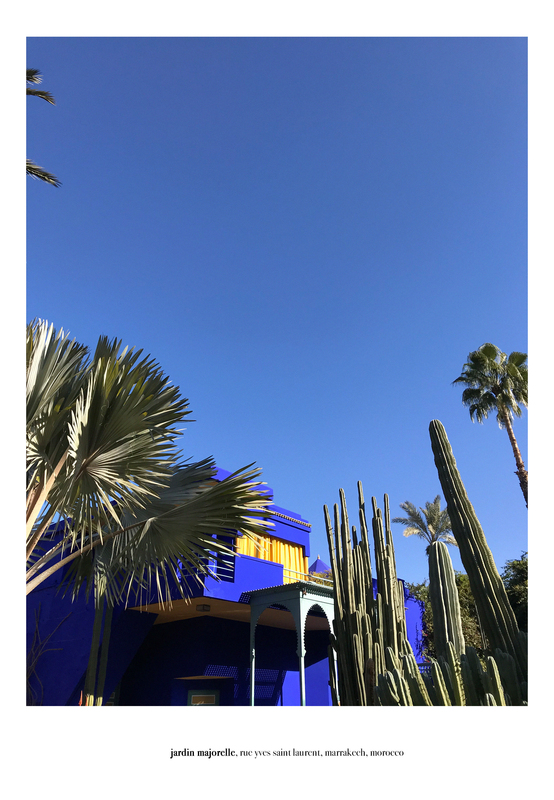 The queue at the entrance has grown incredibly long, everyone wants to enter Jardin Majorelle. At this point, we decide to leave, as we don’t want to spoil the wonderful feeling we had when it was still early and nobody was in the garden alongside us. 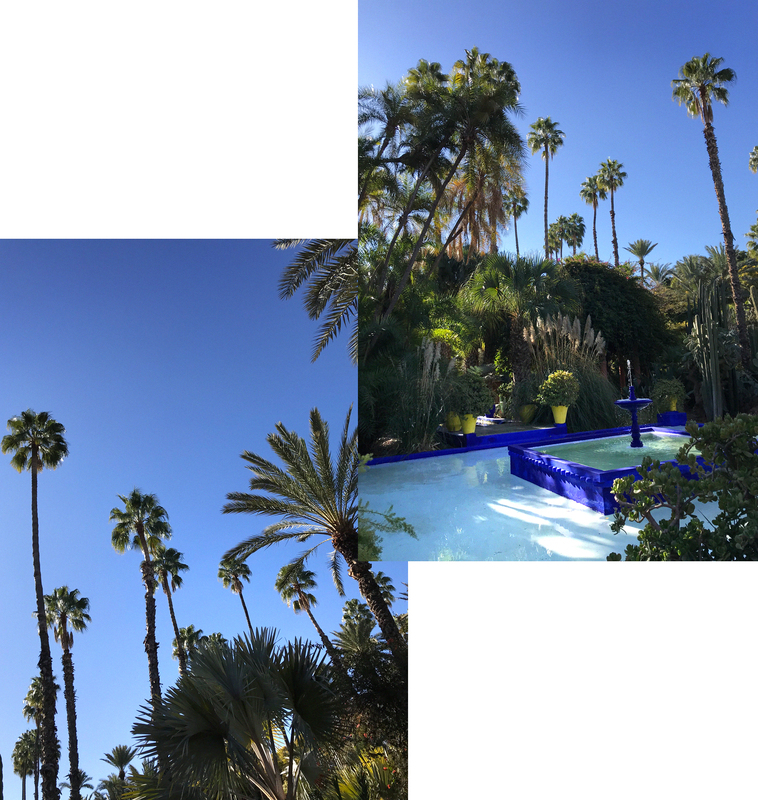 So we exit and enter the loud, crazy streets of Marrakech again, leaving Jardin Majorelle to incredibly large masses of tourists. 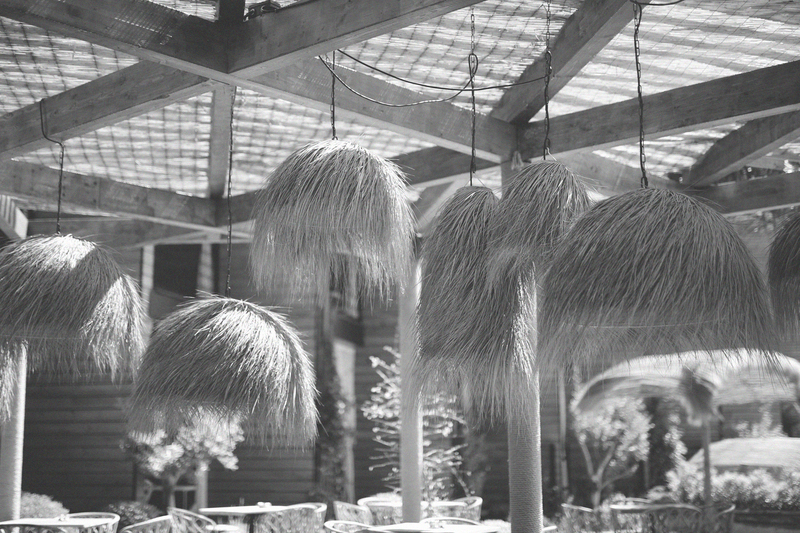 But the beauty and the calm of this garden is something we will keep in our hearts and in our memory forever. 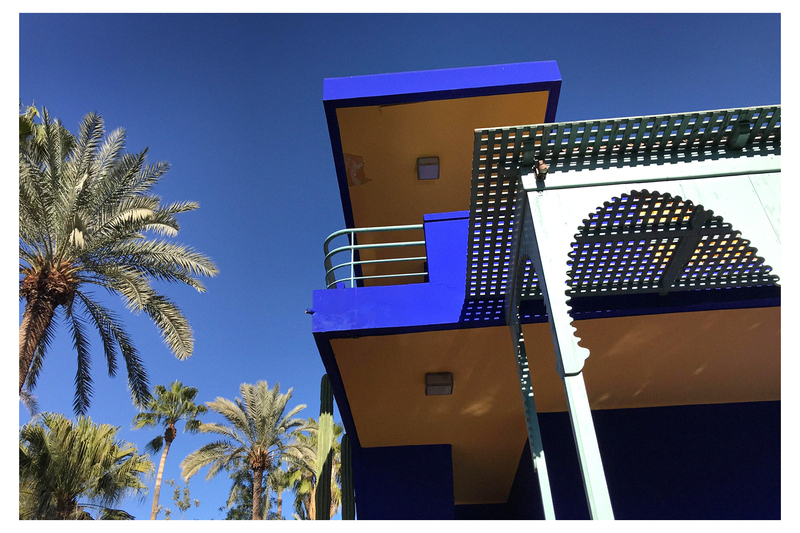 Have you ever been to Jardin Majorelle? How did you feel when you visited it? Or would you like to ever see it in real life? Do let us know in the comments! OMG das sind so schöne Impressionen meine Liebe!!! Sieht nach einem tollen Ort aus. Ich war dort noch nicht. Kann mir aber gut vorstellen, dass der Garten viele Besucher anzieht und es richtig voll werden kann.